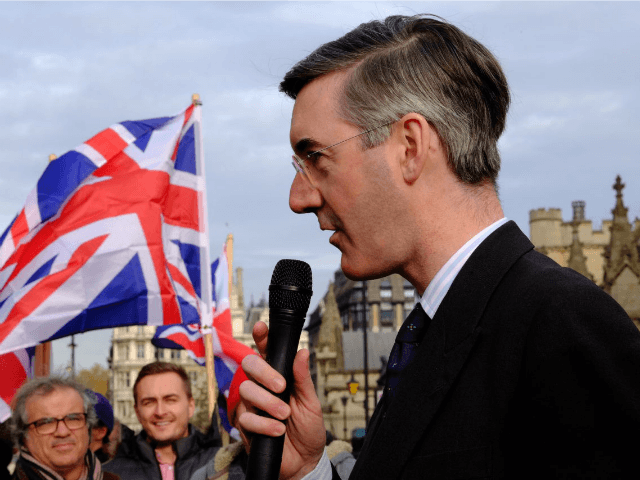 Leading Brexit-supporting MP Jacob Rees-Mogg has argued the European Union (EU) is manipulating the issue of the Irish border in an attempt keep the UK tied to many of its rules and regulations. The leader of Parliament’s influential European Research Group claimed that the UK could be forced to stay inside the bloc’s Single Market and Customs Union, meaning Britain would be forced to follow rules on trade and migration, with no say on setting them. He said uncertainty over the future of the Northern Ireland government, caused by a failed economic scheme, was a problem. But opponents of Brexit are making an issue out of the complex history of the Irish border to whip up fear about a return to violence. Addressing students at the University of Warwick, Mr. Rees-Mogg said: “I think [conducting customs checks] could be done very straightforwardly with technology, trusted trader schemes, and simply the recognition that nobody wants a physical border. “The reason they don’t want a physical border is that it becomes a target for terrorism. “There is huge desire of all parties to maintain the peace in Northern Ireland and I fear that the risk in Northern Ireland is more from the inability to get the government back up and running than it is from issues relating to the border which the EU is using to try and keep the UK in the Single Market and the Customs Union. The EU has issued negotiating guidelines insisting the UK must either create a sea border in the Irish Sea or stay in the Single Market to keep the Irish border open – both options rejected by the UK government. The EU argues any border checks are unacceptable. Others, including Mr. Rees-Mogg, disagree and think the border can stay fairly open like that between Norway and Sweden. The EU’s demands on Northern Ireland have been described as an attempt to “annex” the province by critical MPs and the Democratic Unionist Party (DUP), which called it “constitutionally unacceptable” and potentially “catastrophic”. However, Mrs. May agreed in December to keep Northern Ireland in full “regulatory alignment” with the EU after Brexit, without specifying how the rest of the UK could diverge.